Indian mushroom - the most useful of all known drinking mushrooms. Its other name - Indian Maritime rice, it looks like translucent grains of rice. To taste sea figure resembles a lightly carbonated brew, but it can acquire a special shade of taste, depending on what his "feed". Grow it in a pot, like Kombucha. First prepare the sugar solution. On 1 l of boiled filtered cold water, take 2-3 tablespoons of sugar. Accordingly, on 3 liters of water need to take 6-9 tbsp of sugar. You can add "brown" cane sugar, the mushroom will turn out much tastier. The sugar must completely dissolve in water, because when you hit the "grains of rice" grains of sugar sea mushroom may be ill.
Place the Indian rice in the jar. On-liter jar need to place 3-4 tablespoons, and a three-liter jar - 9 tbsp sea of rice. Extra (accrued) Indian rice, place in a glass bowl, without adding water, under cover. Thus, you will be able to keep it in the fridge for quite a long time. Add in a jar of Indian mushroom raisins. For a quart jar is enough for 5-10 of the highlights, and liter, respectively, 15-30 highlights. It is best to add a dark seedless raisins, but you can use prunes, apricots, figs, apples and other dried fruits (optional). Put a jar to draw mushroom in a bright place, where fairly dry, temperate warmth and no direct sunlight. Leave it in for 3 days (in summer — 2 days). Then, remove the cheesecloth and use a slotted spoon or ordinary spoon remove from the surface of the fungus surfaced dead "grains of rice and raisins. Strain the infusion through a sieve or through four layers of cheesecloth into a clean jar. Strained Indian rice rinse thoroughly with clean water at room temperature, after letting her settle from chlorine. The fungus can again be refilled. The willingness of the infusion of Indian rice you can determine for themselves in accordance with their taste preferences. If you like more sour drinks, give Indian rice to infuse for a longer time. 3 days, the drink becomes more intense and sour taste. Within 2 days of the infusion give a sweet and smooth taste. It is desirable to have 2 servings a sea of rice: while one serving of drink is brewed, the second is the "rest" in the refrigerator in a glass container.Healing infusion of Indian rice should be eaten regularly three times a day for 10-20 minutes before eating. You can also drink this drink and desire, between meals, instead of coffee, tea, carbonated beverages. Changes in your health you will feel in 3-4 weeks. The most favorable temperature for the life of the Indian rice - 23-27 degrees. The higher the ambient temperature, the faster to prepare the drink and the faster will increase the number of Indian rice. At a temperature of 18-20 degrees marine rice stops growing in size "grains" and multiply. At temperatures below 16-18 degrees in the Indian rice begins to shrink in size and may die. So do not let it to freeze. To prevent lowering the temperature, you can put the jar with the infusion of fungus near the kitchen stove or the kettle. Buddhists say that the gods, once descended to Earth, ate only rice. As soon as they began to sin, succumbing to the influence of local residents, the figure was gone and the gods became ordinary people who are forced with great difficulty to get his favorite food. If you get away from legends and myths, and look at the world map and at history, and you know that for a long time, rice was the main food of many nationalities. This is especially true of the inhabitants of the East and Asia. To this day there rice is the basis of most dishes and the only traditional garnish. All because the rice is extremely useful. It is an undoubted advantage, which boasts of Fig. Many people suffer from allergic reactions to gluten. On the shelves you can see the individual stands with products that do not contain this vegetable protein, and the selection of such products, to put it mildly, small. 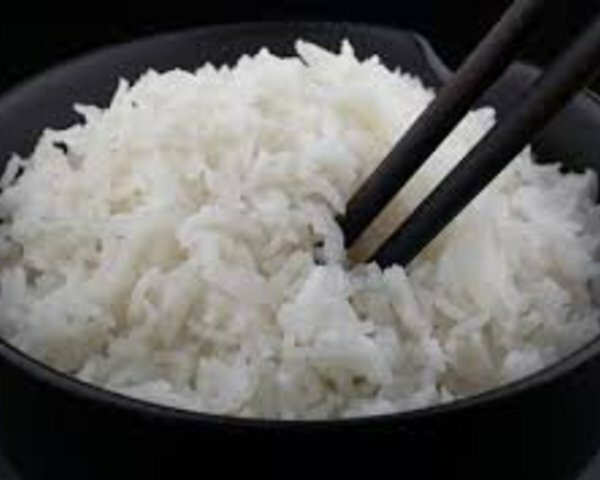 The rice can be a wonderful source of nutrition in the daily diet of people prone to allergies to gluten. Their rice is extremely rich. It contains all necessary for the human body amino acids. This vitamin group is needed for the harmonious operation of the CNS. Thanks to him, the human brain works correctly. Lecithin is needed for the brain, as it has a stimulating effect. Rice contains many other minerals, but potassium is among them, as it is much larger than the others. This mineral is key to the health of the heart and blood vessels. Potassium strengthens the heart muscle, which is essential for the proper pumping of blood. Lack of potassium may cause heart rhythm disorder. If these symptoms occur periodically, as a comprehensive therapy must include in the daily diet dishes based on rice. The output of salt and water. Rice perfectly removes salt and excess water from the body. Because of this, it is recommended to those people who care about the health of the kidneys and bladder. This property makes rice is indispensable for people who have any failures in the function of the digestive system. It is especially recommended to people with stomach produces a juice with high acidity. Despite the useful qualities of rice and the legend of the divine about it, this product, like all others in nature, has contraindications. These include bowel problems, manifested by constipation and flatulence.